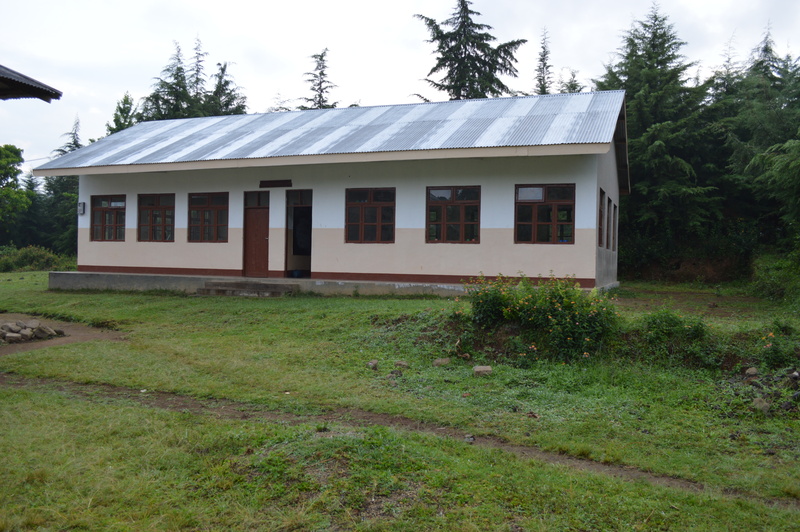 TTF now has its own dedicated classrooms in Manow, Tanzania for our Pre-Form 1 English class. 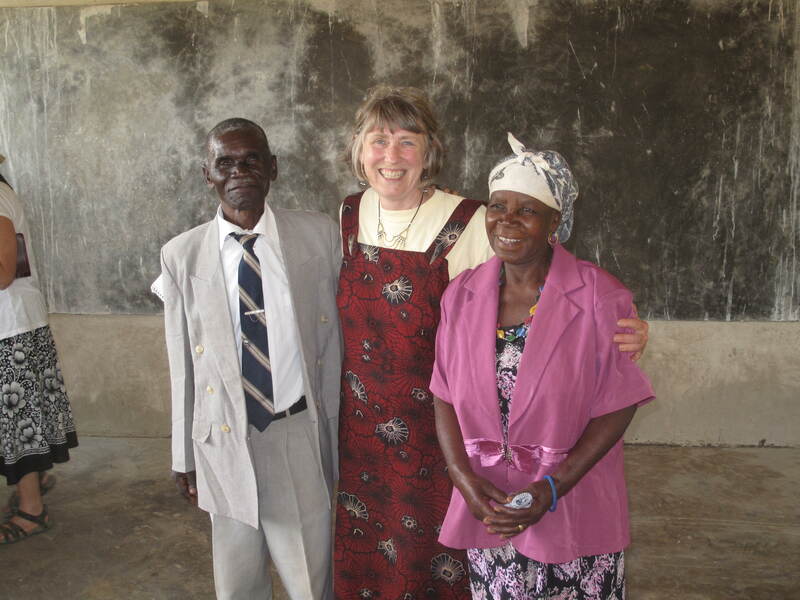 By 2010, Manow Lutheran Junior Seminary had grown to the point that they had no classrooms available for us to use for our Pre-Form 1 English courses. Manow Lutheran Church very generously allow us to use the sanctuary of the church for the classes. We shared the t-shaped sanctuary with a pre-school at one end and church meetings in the long wing. Each Friday we moved the tables out of the way for Sunday services. Although we were grateful, this situation was less than ideal. Our classes tend to be very noisy – especially during the games that are integrated into the curriculum. We needed classrooms of our own. In 2012, with the help of a volunteer engineer, we drew up plans and built a model for our own classrooms. Finally we drafted up specifications and developed a contract to construct the two-room building. With the generous support of many, many donors we began construction in June of 2013. The building was to be finished in time for our 2013 Pre-Form 1 English class, but as with construction projects on any continent, the project was delayed. 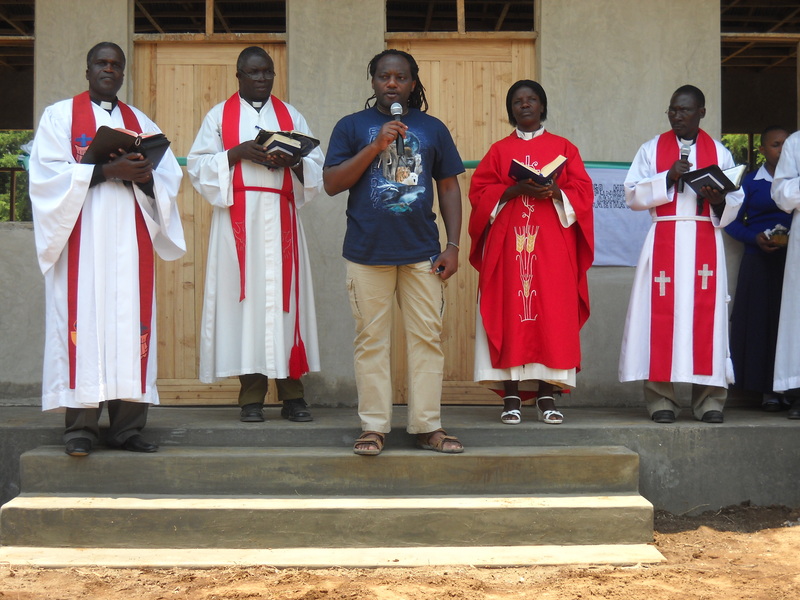 On September 29, 2013 the project was dedicated with the fanfare of multiple clergy, Manow community leaders, and the majority of Manow residents. The building was dedicated to Sosthenes F. Komba, the former teacher from MLJS who earned his MS in Education from Saint Martin’s University in Olympia. After returning to Manow, he began implementing some of the interactive teaching methods he learned at St. Martin’s. Unfortunately, his life was cut short in 2007 after a serious motorcycle accident. His parents were able to make the 2-day trip to attend the dedication. The Pre-Form 1 English class moved in November 2013! The students were thrilled, as were our teachers and everyone continues to appreciate the facility. 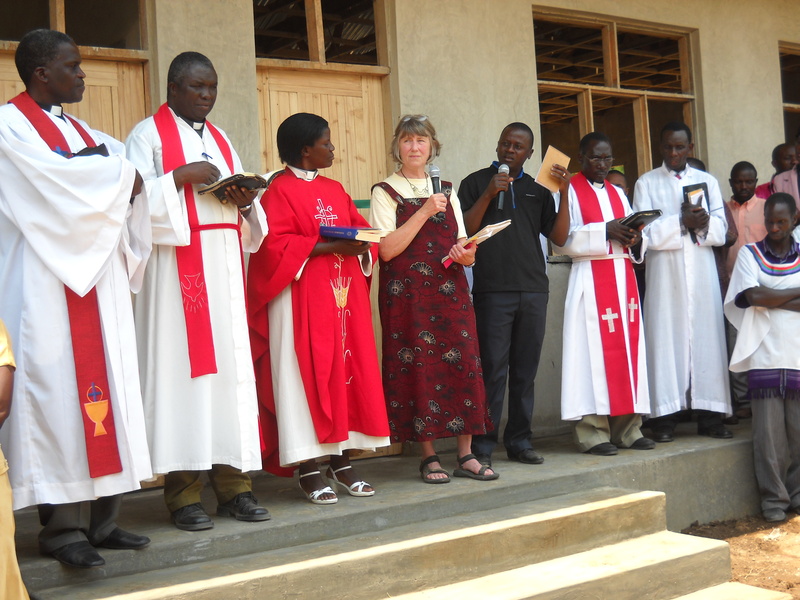 For the nine months each year that TTF is not teaching the Pre-Form 1 English class, the TTF classroom facility is overseen by Manow Lutheran Church and serves as a community center. This project is a tribute to the power of how many generous donors can come together and move a project from dream to reality in under a year.